Dave Powell needs no introduction. 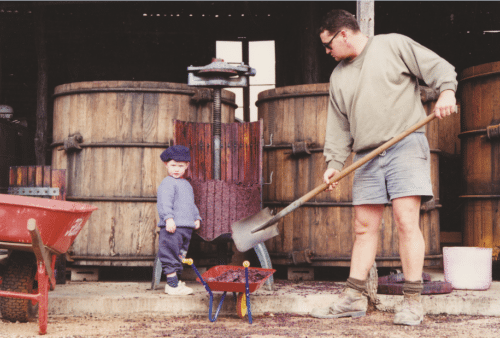 The founder of Torbreck took the brand from zero to hero, making among the Barossa’s most iconic wines. His own stock, on the other hand, did the reverse. In 2002 he lost control of the company then, in 2008, his minority shareholding, before leaving under a cloud in 2013. He was declared (and remains) bankrupt. But when I caught up with Powell earlier this month, he was in ebullient form. With good reason. 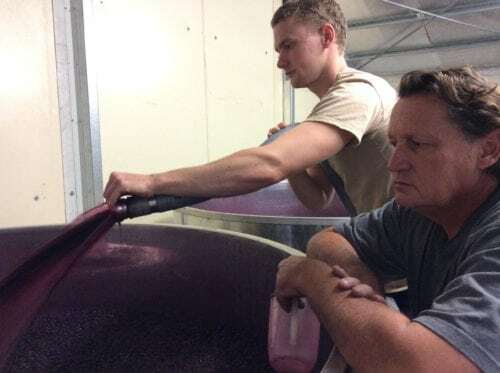 He’s back doing what he loves – hands on wine-making, this time with his son Callum under their eponymous label, Powell & Son. So it would seem all’s well that ends well. 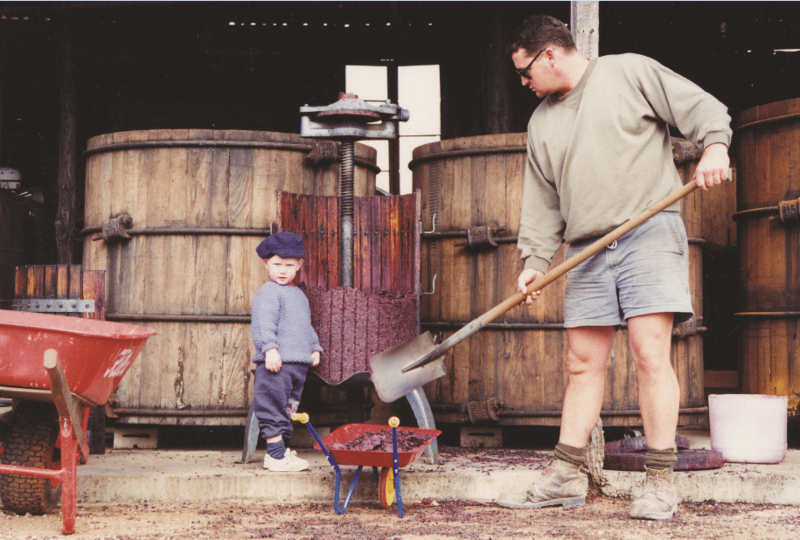 From Dave Powell’s perspective it’s fun getting back into the vineyard and winery, working with his son “to stay young” and having more liberty – “I don’t have to kow tow” (though he concedes “you still have to play the game.”) From Callum’s perspective he is able to do what he wanted but on a small scale, keeping it in the family, whilst benefiting from his father’s decades of experience. 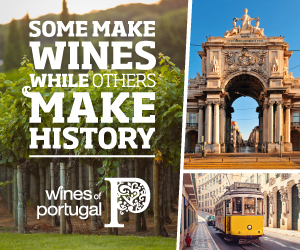 Both in the Barossa (Powell senior worked at Yalumba, Peter Lehmann, Wolf Blass, Saltram and Rockford before establishing Torbreck), then trotting around the globe selling Torbreck (and tasting the great wines of the world). “So it wasn’t all bad after all…a blessing in disguise” concludes the 22 year old, whom his father is quick to assert is “no passenger.” Indeed, Callum’s take on the Torbreck debacle is that it made him “very, very determined. 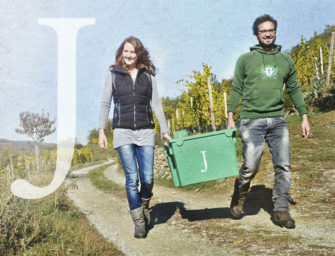 Losing Torbreck made me realise that if this [winemaking] was what I was going to spend my life doing then I was going to have a precise vision of what I was to do and it was going to be a hell of a lot of heartache and hard work to do it, so the result of that vision had better be worth it.” And as he candidly admits, “Currently as a 22 year old, I mostly bring vision” to Powell & Son (Callum is currently completing his winemaking studies in Adelaide – useful, says Powell senior, because he runs his pHs high). So while Powell & Son’s wines share Torbreck’s sensuality (the flesh and achingly refined tannins), there is greater emphasis on savouriness and restraint – more lift, less alcohol. Intriguingly for me, all without resorting to the much earlier picking, whole bunch or Viognier co-ferments which typify so many of the new breed Barossa Shirazes which have been forging exciting new pathways for the genre. I asked Powell how he achieved such finesse and funk without losing the sensuality of fruit so naturally gifted by the Barossa? But finesse and complexity inevitably boil down to vineyard specifics too. Especially if you are not blending (i.e. going down the single vineyard route), asserts Powell senior, “you’ve got to have great vineyards.” And as we know from Torbreck, Powell is a veritable heat-seeking missile on that front. Steinert and Loechel, the father and son duo’s top single vineyard 2014 Shirazes are dizzyingly good, positively lyrical single vineyard Eden Valley Shirazes. 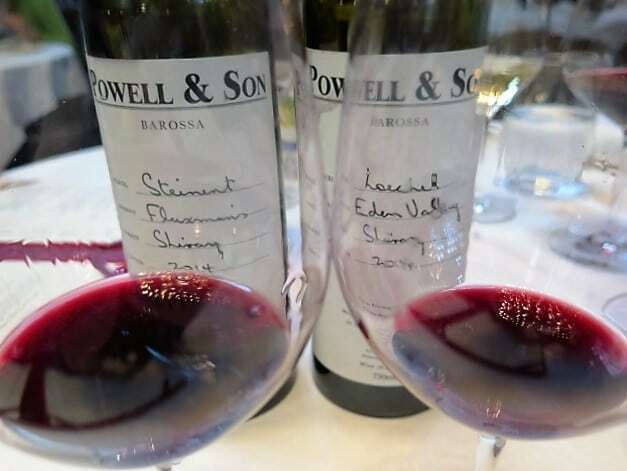 When I asked him if it was difficult to source fruit from great vineyards second time around (old vine Barossa Shiraz is much more sought after since the 90s when Powell founded Torbreck), Powell said he had been surprised that it hadn’t been harder. There and again, he still pays top dollar and when many growers’ main income stream is cattle or agriculture, they are happy to lease to Powell & Son who run the vineyards. 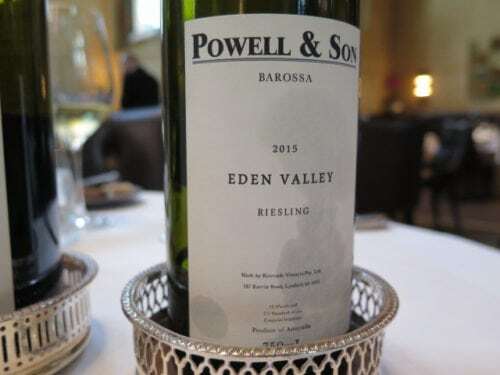 Aside from the Eden Valley factor, Powell says the approach is not so different from Torbreck – ultra-low yielding vines, sympathetic use of oak and getting the tannins right, so you don’t need to add them. It’s about being able to taste when tannins are ready, he explains, then using a component of whole berry (perhaps 50%) “and leaving wines on skins long enough to get a really sublime quality, a delicacy.” I loved how Powell & Son’s single vineyard Shirazes seduced with the attack and finish as opposed to the mid-palate. 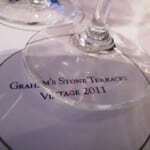 And I loved their Eden Valley ruffle and truffle – of tannin and earthy yet other-worldly funk. You’ll find my notes on Powell & Son’s first releases below. First, a bit about what’s in the Powell pipeline. 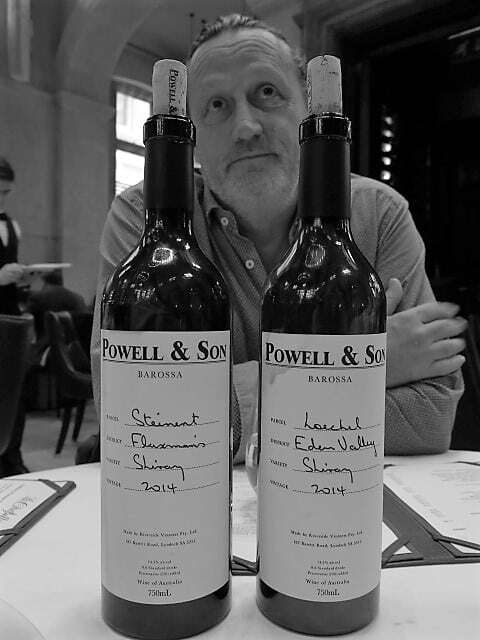 Powell is plainly very happy indeed with the 2015 wines. 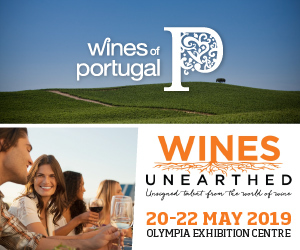 Though most wines are still in wood, he rates it as better than 2014 – “bigger.” As for the 2016s, Callum told me there will be two single vineyard Shirazes from Eden Valley, two from the Barossa Valley and one single vineyard Mataro and one Grenache from the Barossa Valley. 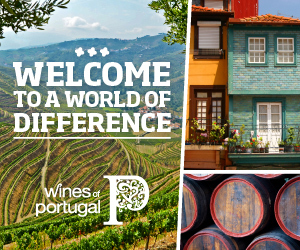 The regional wines are more affordable and give an idea of traditional regional styles throughout the Barossa: Barossa Valley Shiraz, Eden Valley Riesling, Barossa Valley Roussanne/ Marsanne, Barossa & Eden Valley Shiraz and Barossa Valley Grenache/Shiraz/Mataro. 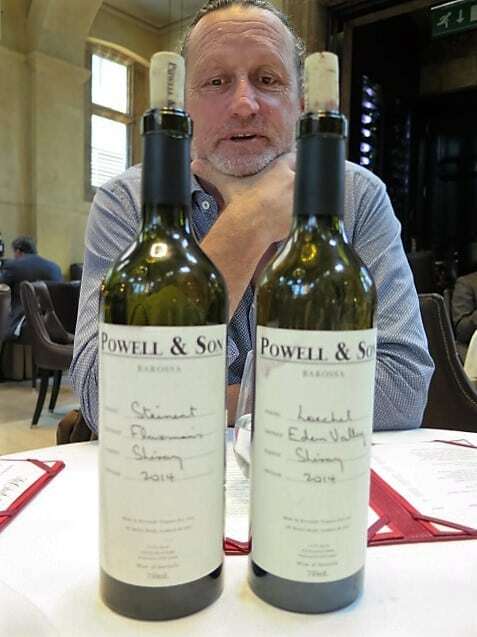 The single vineyard wines are clearly at the core of both Powell’s vision. Callum told me “most of what I wanted to do was work with great single vineyards throughout the Barossa that can make a great, balanced wine on their own and the label [which he designed himself] does nothing more than states what the vineyard is: vintage, variety, district of the Barossa, and within that we named the specific vineyard after the family that originally planted the vines.” Hoping to secure that vision into the future, father and son plan to buy the top vineyards – in the next five years if possible said Dave (Powell & Son currently lease all the vineyards and the winery). The fruit is sourced from 80+ years old Riesling at 480m from the Steinart vineyard in Flaxman’s Valley, at the southern end of the Eden Valley township. 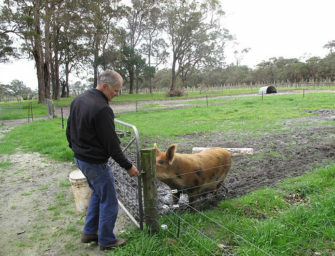 It is also the source of Powell & Son’s top single vineyard Shiraz. Powell used to make Riesling at Rockford from the very same site. The fruit was hand harvested on 6th March 2015, whole bunch pressed, cold settled and cool fermented to dryness at 12-15˚C, then racked off solids and cold stabilised prior to bottling. So far so classic. But while it has Eden Valley’s freshness and pronounced florals – lime blossom and more exotic jasmine – the overall profile is softer – subtly textural – with lingering ripe apple and talc-like minerals, the palate more opalescent than taut and focused. I suspect this will broaden its appeal, but I missed a bit of the snap crackle and pop of energy which I associate with top Eden Valley wines. pH: 2.92, TA: 6.5g/l, Alcohol: 12.0% 600 cases. Made off site by Jo Irvine. This melt in the mouth orange peel inflected GSM comprises 70% Grenache, 25% Shiraz and 5% Mataro. It’s round and velvety yet persistent with very attractively lingering freshness – not a hint of confection here. The fruit and spice do the talking. Though it’s not the most concentrated GSM, that’s no bad thing when the oak is this sensitive (4,500l foudres) and the fruit supple and concentrated enough to wear its alcohol gracefully. Very drinkable in a velvety not crunchy style. Hand harvested on 5th – 19th April 2014, the fruit was sourced from Western Barossa vineyards aged 80+ years old. The fruit was and de-stemmed into open concrete fermenters where it fermented for 7-10 days. It was then basket pressed to complete the ferment in stainless steel, then racked into foudré with full malolactic fermentation in oak where it aged for 15 months. Bottled without fining or filtration. pH: 3.51 TA: 6.4g/l Alcohol: 15.0% 450 cases. This 250 case single vineyard Shiraz comes from the best parcel of Loechel – a western section of the vineyard which is planted on a steep, low yielding easterly aspect with high drainage. 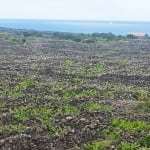 The vines, which are 40+ years old, were planted by Loechel family. The fruit was hand-picked on 24th April 2014. Although the Shiraz was processed similarly to the other reds, Loechel was racked into new Domnique Laurent French oak barriques for 15 months. Not that you’d know it. The oak seems on the backfoot. Rasping black pepper and sensual white truffle notes snag your attention from the off and maintain it from pungent, musky, animal-charged start to lingering finish. I think of Patrick Süskind’s novel ‘Perfume’ about the darkly obsessive (murderous) scent-seeker Jean-Baptiste Grenouille. And ‘Leviathan,’ a book I’ve just read about whales by Philip Hoare; he calls ambergris – the so-called ‘floating gold’ prized by parfumiers – for what it really is, hardened sperm whale dung! There’s a sweetness too. Of juicy black berry, raspberry and red currant which parries with this wine’s lifted, as if aromatised, savoury, earthy, gamey notes. Great lightness of being delivered with intensity. Stunning and perfectly unique. pH: 3.68, TA: 5.6g/l, Alcohol: 14.5%. 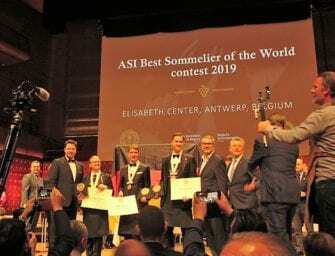 The estimated UK RRP for Loechel – Eden valley floating gold is £85, which puts this wine within the grasp of many more premium wine hunters than its floating platinum – Steinart. The fruit is sourced from the 5 acre Steinart vineyard in Flaxman’s Valley, which is planted to 120+ year old dry grown Shiraz vines at 480m. It was hand harvested on 28th April 2014 and, having undergone a similar fermentation process to the other reds, was racked into new Domnique Laurent French oak barriques where it aged for 18 months. Where Loechel ploughs a pungent and earthy furrow, flirting with the feral and decay, Steinart Shiraz is prettier and pleasingly uplifted. It’s more firmly in the fruit and ephemeral flowers zone. And mineral as opposed to earthy. It has a deep purple hue with the inky, florals to match – a swirl of wild violets and peonies is headily laced with riffs of savoury black pepper, sensual white truffle and orange peel spice. 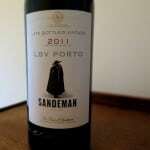 Notes which encircle and echo around its fine fretwork of earthy old vine tannins. Great line, length and levity, with a profound sense of delicacy – a translucency – to its mineral-sluiced fruit. Absolutely stunning. 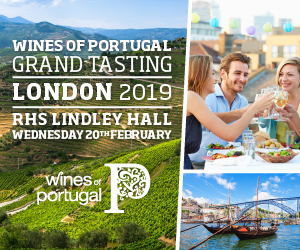 pH: 3.77 TA: 5.5g/l Alcohol: 14.5% With an estimated price point of £575, Steinart is firmly pitched in the so-called luxury wine zone which Powell so successfully occupied with his top wines at Torbreck alongside Henschke Hill of Grace and Penfolds Grange. And it belongs there.